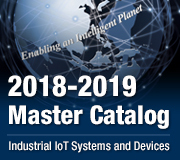 TPC-1581WP and TPC-1881WP series provide machines an additional optical value - an important feature -finding a growing interest in the Machine automation market. The free of charge CODESYS Development system includes all the components for engineering, all IEC-61131-3 languages, compiler for the native machine code, a powerful debugger and a clear project configurator. 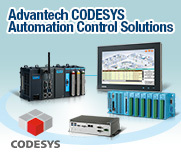 The ADAM-5560CDS is a most cost efficient modular IPC controller based on the IEC 61131-3 programming tool CODESYS V3 from 3S-Smart Software Solutions. This programming tool can facilitate programming across multiple controllers. 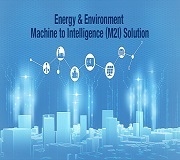 It provides the interoperability necessary for Cyber Physical Systems (CPS ) and sets up a solid foundation for the Internet of Things ( IOT) in the factory facility, transforming a factory to a Smart Factory without huge investments. PC based control has been around in various forms for just about as long as PCs have been around. When you think about it, PCs have been doing machine control applications as long as PLCs are in the market. 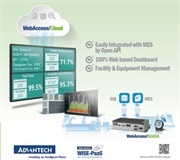 Here are many reasons why embedded IPC based control is an excellent control platform versus proprietary PLC platforms. Here are many reasons why embedded IPC based control is an excellent control platform versus proprietary PLC platforms. 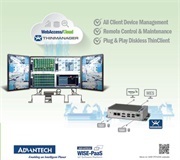 Advantech´s ADAM-5560CDS is a cost effective DIN-Rail IPC for Data acquisition and Control tasks for IoT applications which require Industrial PC computing performance with a PLC’s robustness. The ADAM-5560CDS, is equipped with an Intel Atom CPU, along with control specific features such as watchdog timer, battery backup RAM and deterministic I/O.